This is my Hypo Striped Blood hopefully het pewter to breed to the hypo pewter I posted earlier. She is good looking without or with though. She's beautiful! 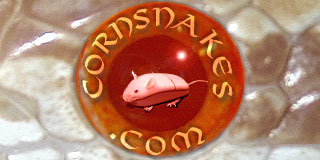 I love all red corn snakes and would love to have one of my own. My "bloodred" is more of a rust color than a red and everything else I have is some shade of grey or yellow.